We have been building simultaneous injection multi-frequency eddy current equipment longer than any other company. The ect 48 micro Dock eddy current system continues our tradition of providing multi-frequency eddy current systems that are the smallest and lightest available. 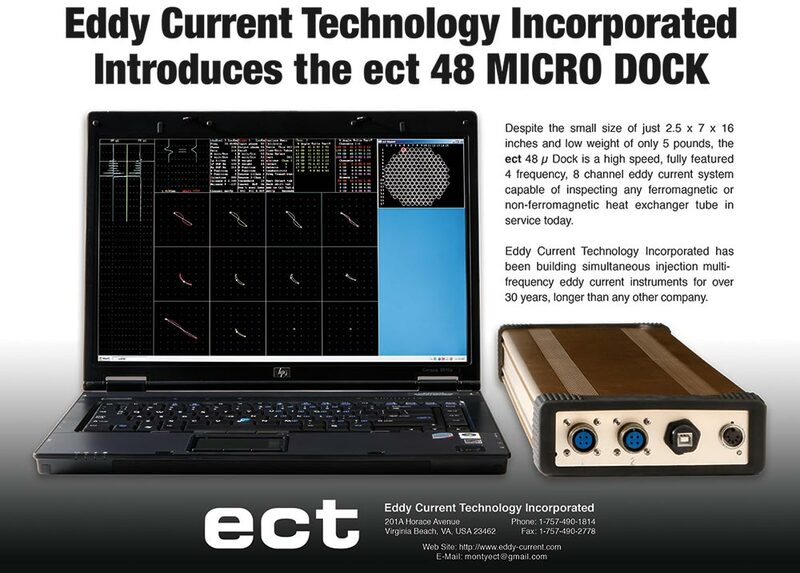 Despite the small size of just 2.5 x 7 x 16 inches and a low weight of only 5 pounds the ect micro Dock is a high speed, fully featured 4 frequency, 8 channel eddy current system capable of inspecting any ferromagnetic or non-ferromagnetic heat exchanger tube in service today.